Light: Place the plant in a bright spot where one can read easily in the middle of the day. Preferably, the plant will get 2-3 hours of light per day. 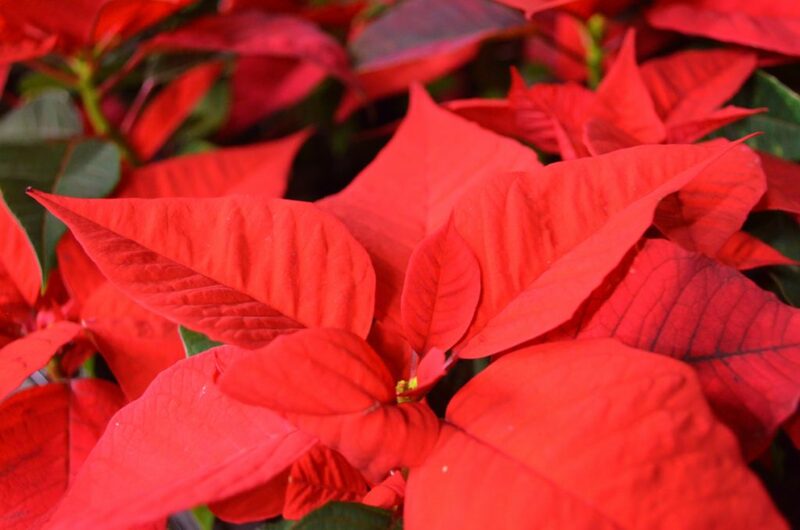 Temperature: Poinsettias do best at regular room temperature between 60◦ and 72◦ F. Avoid placing them near heat sources such as fireplaces and registers. Fertilizer: They do not require fertilizer while they are in bloom. If you wish to keep it growing after the holiday season, begin fertilizing with a houseplant fertilizer according to the directions. 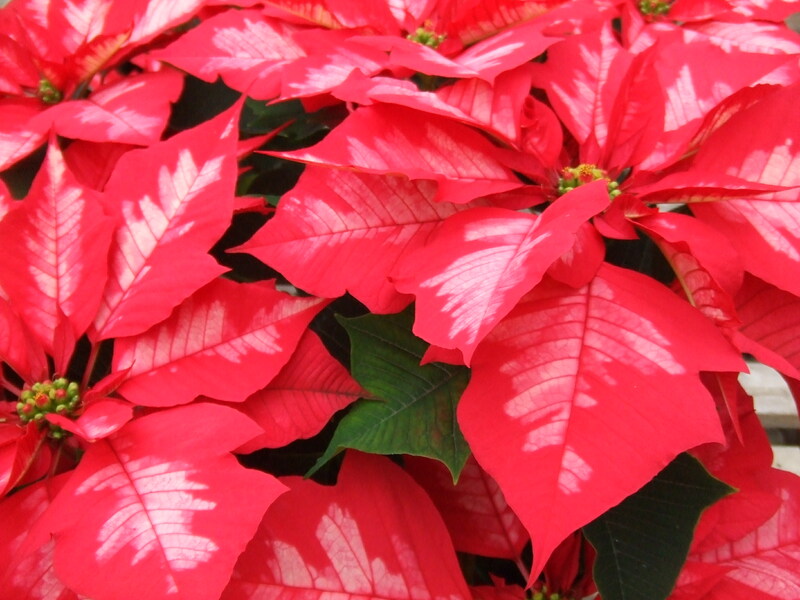 Water: Poinsettias are grown in a very light soil to minimize the chance for overwatering. It is very important to keep the soil moist. Allow the surface of the soil to dry slightly, then water thoroughly. Be sure to drain the saucer or pot cover so the plant is not sitting in water. It is best to water the plant 2-3 times in a 5 minute period to be sure the soil absorbs the water rather than it running through. 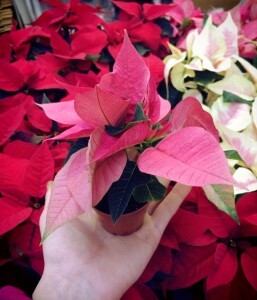 If you follow these tips, your poinsettia should look wonderful for a very long time. Guests often tell us that their poinsettias look nice until Easter. One other thing I might add, there is a popular theory that poinsettias are poisonous, however, that is not true. It is supported by sound science in a study done by Ohio State University. In addition, Jack Williams, an industry friend would go on national television every year and eat a few poinsettia leaves to further prove the point. They could cause slight stomach irritation or burning sensation on the tongue or throat but they are not harmful. Happy Holidays from all of us at Graf’s!